Arya Renjan is currently pursuing MS in Computer Engineering at UMBC. She is doing research with Dr. Karuna Joshi in the field of Network Security and reputation. 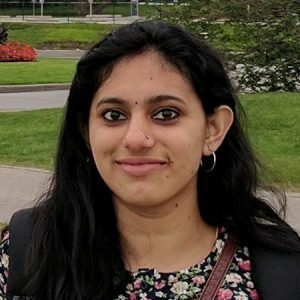 Prior to UMBC, she worked with ANSYS Inc. for three years, a tier-1 EDA company in the field of Semiconductor Simulation Software at Bangalore, India.